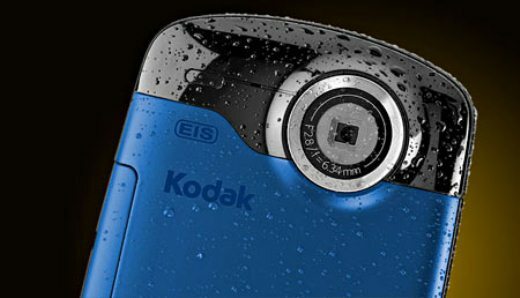 A U.S. International Trade Commission judge said that neither of the two patents in Apple’s case before the ITC were being infringed by Kodak’s digital camera technology, according a Bloomberg report. Apple’s complaint targeted Kodak digital cameras such as the Kodak Z series, M series, C series, and Slice cameras, as well as video cameras including the Playsport for allegedly violating patents that cover a way a camera can process several images at the same time and the handle multiple processes such as adjustments in balance, color, sharpness and resolution at once. Judge Robert Rogers in Washington said that neither of the patents were being infringed and one of the patents is invalid. The judge’s findings are subject to review by the six-member ITC, which has the power to block imports of products that infringe U.S. patents. Apple filed its case in April 2010, about three months after Kodak accused Apple and Research In Motion of infringing a patent related to ways of previewing images, which may generate as much as $1 billion in new licensing revenue. “We’re pleased by today’s ruling and we are looking forward to the full ITC commission’s ruling in our case against Apple and RIM, which is expected in late June,” David Lanzillo, a spokesman for Kodak, said in a statement. The reasons behind the judge’s opinion today won’t be made public until both sides have the chance to redact confidential information. Read next: Cheezburger's Ben Huh on education, entrepreneurship and 5 minutes of happiness.